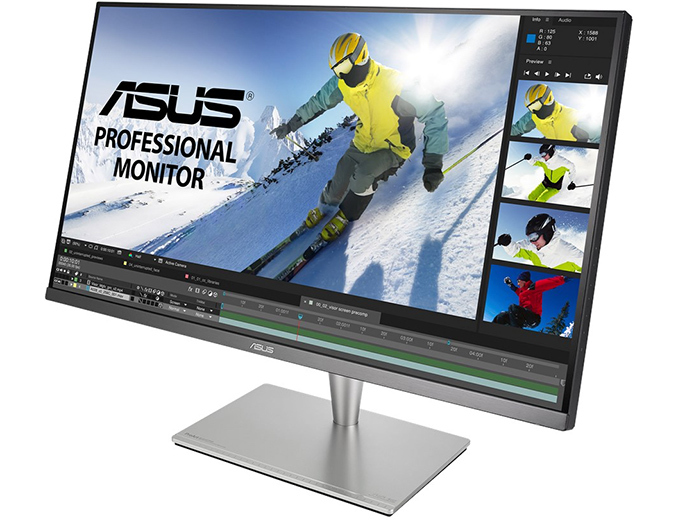 ASUS has started to ship its top-of-the-range ProArt PA32UC professional-grade display. 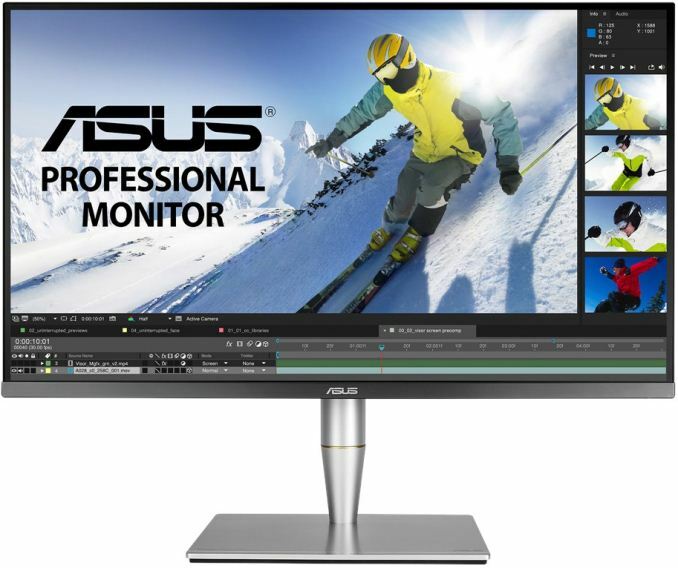 The new monitor features a 4K resolution and supports pretty much every advanced display feature suitable for professional usage, including Rec.2020 and DCI-P3 color spaces, 384 zone backlighting to support HDR with a peak brightness of up to 1000 nits, a Thunderbolt 3 interface, etc. The monitor naturally comes pre-calibrated and is also compatible with appropriate hardware should owners want to recalibrate their devices It took ASUS approximately 15 months to polish off its ultra-high-end LCD*, which is now available at a hefty price. The ASUS ProArt PA32UC display relies on a 32-inch 10-bit IPS/AHVA panel with a 3840×2160 resolution, 178°/178° viewing angles, and perhaps most cutting edge of all, full array LED backlighting technology featuring 384 LED zones for dynamic local dimming. FALD backlighting is common in TVs, but is almost unheard of in shipping PC montiors, with the PA32UC becoming one of only a couple of monitors to support the feature. As a result of it's sizable backlighting system, the monitor has a typical brightness of 400 nits as well as a peak brightness of 1000 nits for appropriate content. The manufacturer rates the monitor’s static contrast ratio at 1000:1 (not so great for a pro LCD), a response time at 5 ms GtG, whereas the refresh rate is 60 Hz. The ProArt PA32UC covers 85% of the Rec. 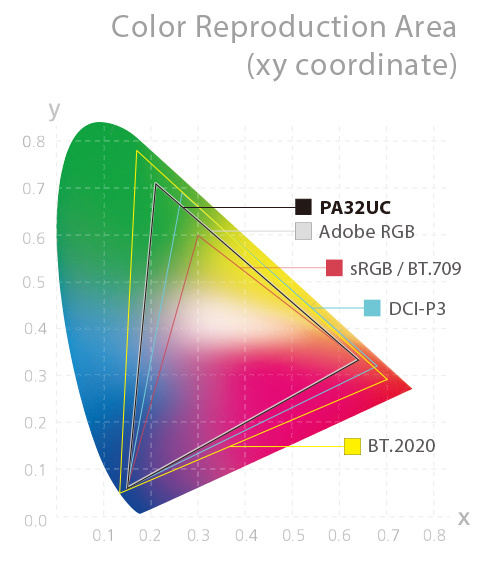 2020 (BT.2020), 95% of the DCI-P3, 99.5% of the Adobe RGB, and 100% of the sRGB color spaces, just like ASUS promised when it announced the display initially. The Adobe RGB color space is central for professional photographers and designers that need to edit photos or images for publications, whereas the sRGB, the DCI-P3, and the Rec.2020 color spaces are important for video editors and animation designers who do post-production work. Meanwhile, ProArt PA32UC’s DCI-P3 coverage is below 98% – 99% supported by displays aimed primarily at video professionals. As for the Rec.2020 gamut, its coverage at 85% cannot be called significant, but since there are few displays on the market that support this color space as an input, people working on content that will be broadcast in this color gamut will appreciate its support. Like many other professional displays, the ProArt PA32UC can simultaneously display images in different color spaces when Picture-by-Picture mode is used. Moving on to HDR support. The ProArt PA32UC has an Ultra HD Premium certification, which means that it can hit certain brightness and contrast levels, and like other HDR montiors, Asus is using HDR10 here. The monitor features an internal 14-bit LUT that support Gamma values of 2.6, 2.4, 2.2, 2.0, and 1.8 for smoother color gradients. ASUS calibrates all the ProArt PA32UC monitors individually to DeltaE ≤ 2, but the LCDs are also compatible with hardware calibrators, such as the X-rite i1 Display Pro and the Datacolor Spyder 5 series (all the color values are stored internally). As for connectivity, the ProArt PA32UC has two Thunderbolt 3 ports (one input, one output), four HDMI 2.0b headers, and one DisplayPort 1.2 input. It is noteworthy that the unit supports both HDCP 1.4 and HDCP 2.2 for mastering content for different platforms. The monitor also comes with integrated speakers and a USB hub supporting two Type-A and one Type-C connector. The ASUS ProArt PA32UC is currently available from B&H Photo Video at an MSRP of $1999.99. Neither Amazon US nor Newegg currently list the display on their websites, so as of press time, B&H is the only store that carries the new monitor in the U.S. While the price tag is not low, I cannot say that it is unreasonably high. 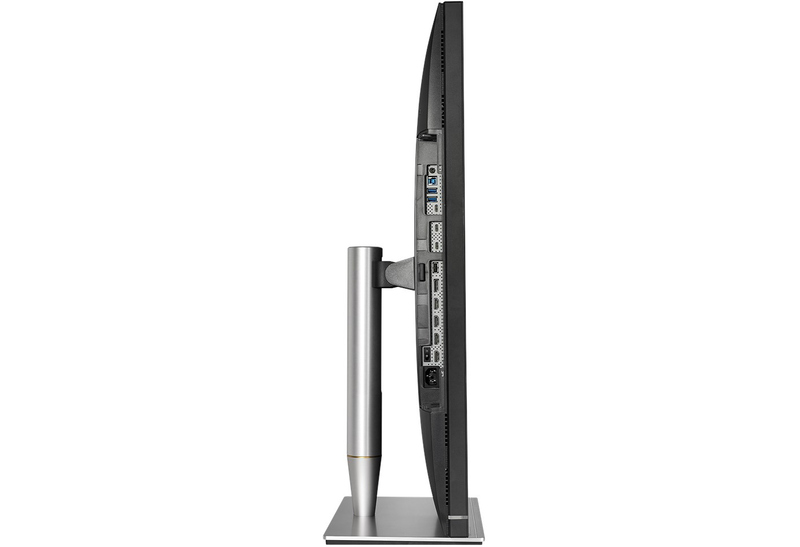 A professional 32-inch monitor with a DCI-P3 support tends to cost around $1,500 in the U.S. Given the fact that the ProArt PA32UC features FALD backlighting and HDR, along with Rec.2020 color gamut and other perks, it does not seem overpriced. It is not a reference monitor (which prices tend to hit ceilings) that is meant to enable 98% - 99% of the DCI-P3 coverage, so its DCI-P3 coverage of 95% of the range seems reasonable. It is noteworthy that the ProArt PA32UC will cost considerably more in different parts of the world than it does in the U.S. Amazon UK lists the ProArt PA32UC for £1,999.99 ($2,770), but the model is currently out of stock. Amazon Germany sells the new professional monitor for €2,547 ($3,135), but notes that it will take two or three business days to deliver it within the country. Meanwhile, techAU web-site reports that the ProArt PA32UC will be available in Australia in May for an MSRP of A$3,499 ($2,748). 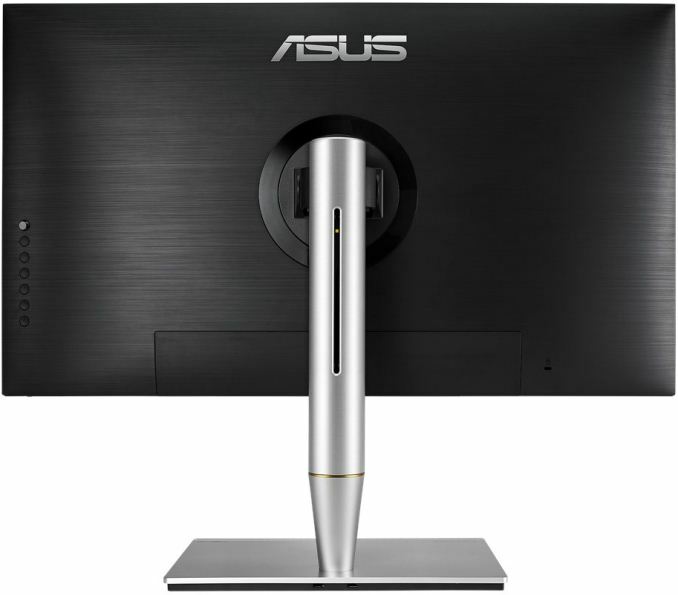 *When ASUS formally introduced the PA32U at CES 2017, it indicated that the monitor would use quantum dots, but the press release announcing availability of the PA32UC does not mention this technology at all, which may indicate that the new LCD does not use quantum dots. Technically, the PA32U and the PA32UC are different monitors so the former does not have to feature quantum dots. Meanwhile, considering similar characteristics of both monitors as well as similar prices, it is unclear whether the PA32U will ever make it to the market. If it does, then it will have to offer a better color reproduction than the PA32UC to justify usage of quantum dots. Do we know who's making the panel for this monitor? I know AUO had one that would fit in the works; but historically AUO panels have had too much variance (among other QA issues) to be suitable as a pro-grade displays. If it's theirs I'd suggest any pros hold off until 3rd parties can start testing the displays to see how consistent they are. I think it is a little bit a tragedy honestly. TVs are cheaper than monitors even they are 4 times the size. Burn-in is already a minor problem. It happens if you use it all day long. But not with entertainment use, mainly all day work or signage that type of thing. Oh good. When this monitor costs $2k, you'd buy a much better one for $1k. That's rather naive. "Not with entertainment use." Even PCs used "mainly" for gaming often spend as much time (or more!) in desktop applications as they do in-game. And nobody uses a monitor for long-term content consumption, seeing how TVs are cheaper and bigger. As such, you'd have the choice of whether you'd want to burn in your taskbar icons, favourite game UI, or both. It might take a while, but with 4-5 hours of use a day, I'd be surprised if burn-in wasn't apparent within a year. Is that surprising? Bigger = lower pixel density = easier to produce = cheaper. 4k at 32" is 2x the pixel density of 4k at 64", meaning you'd need to shrink both pixels and pixel pitch (or at least the sum of the two) by half on both axes. That's no small feat. Material costs are the only drawback for TVs in terms of cost, and as with all modern manufacturing, that's not really an issue.